This year’s Boston Comedy Arts Festival won’t shy away from news or controversy. “We’re curating headliners and acts that can get meaningful conversations started,” said ImprovBoston artistic director Mike Descoteaux in a statement that listed this year’s headliners Tuesday. “At a time when we feel politically polarized and our human connections are strained, laughter can bring us together,” said Descoteaux. ImprovBoston will host the ninth annual festival from Sept. 6-10. More than 90 comedy acts from around the world, including improv and sketch groups as well as stand-up comics, are scheduled to perform. 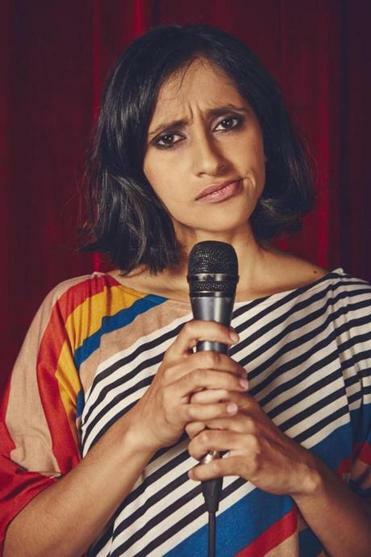 Some of the festival’s headliners include stand-ups Aparna Nancherla (“Crashing,” “Inside Amy Schumer,” “Master of None”), DeAnne Smith (“Last Comic Standing”), the critically acclaimed Chicago sketch duo the Defiant Thomas Brothers, and an improv group from New York’s Magnet Theater. The festival will also feature workshops and industry panels, among other ImprovBoston-sponsored events. Most events will be held at ImprovBoston in Cambridge, but some shows will take place at additional theaters across town.